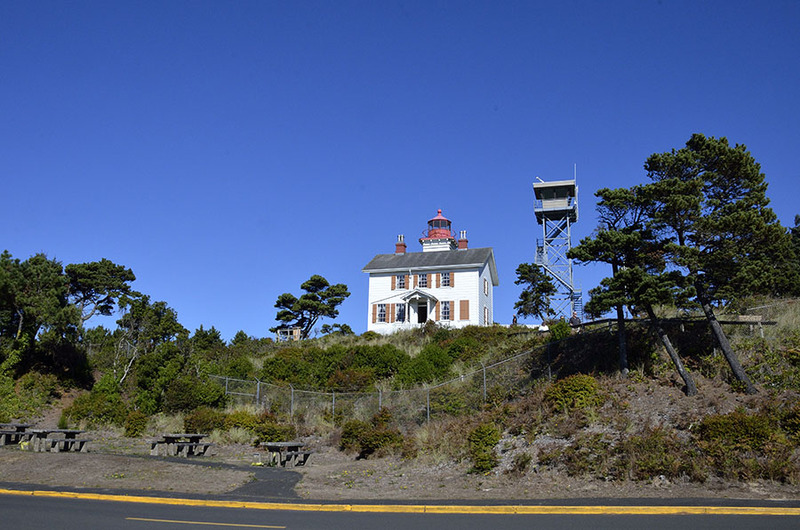 The Oregon coast is dotted with lighthouses, and we are diligently working on seeing as many of them as possible. 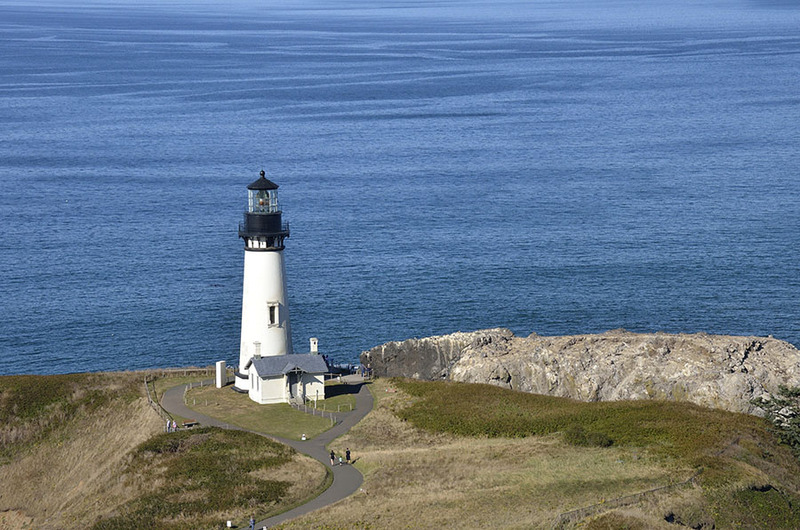 Next up: Yaquina Head lighthouse – a very picturesque spire near Newport, OR. 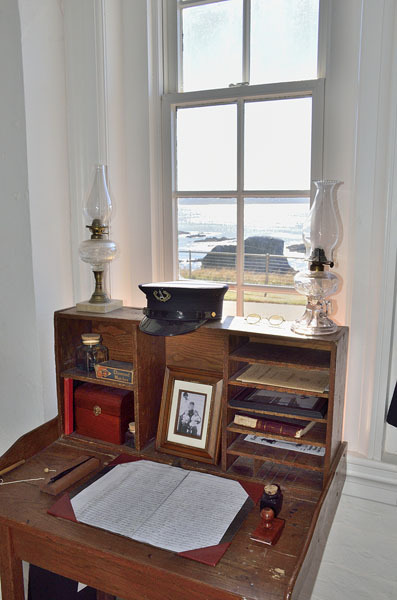 We got passes to take a tour inside the lighthouse, hefting the oil cans that the keepers had to haul up the stairs to keep the light burning before modern bulbs replaced the whale oil and kerosene, and seeing a slice of history in the keeper’s log book. 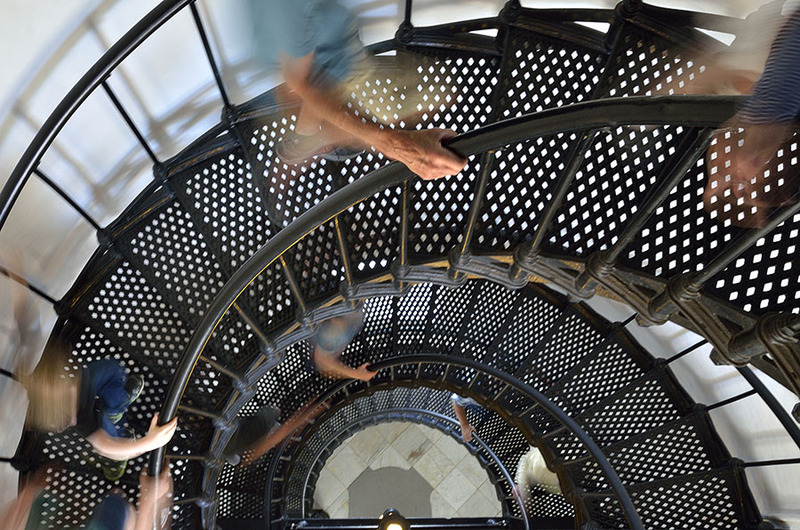 We climbed the spiral stairs to the top, worth the effort to see the light mechanism and the massive first order Fresnel lens. 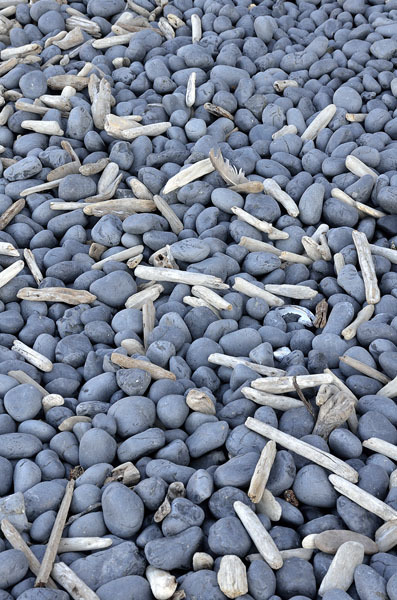 Just below the lighthouse sea lions were hauled out on rocky islands, barking and cavorting in the waves just off a beach made of cobbles… …basalt tumbled by wave action to a smooth rounded finish. We hiked around the Yaquina Head promontory, enjoying views in all directions. 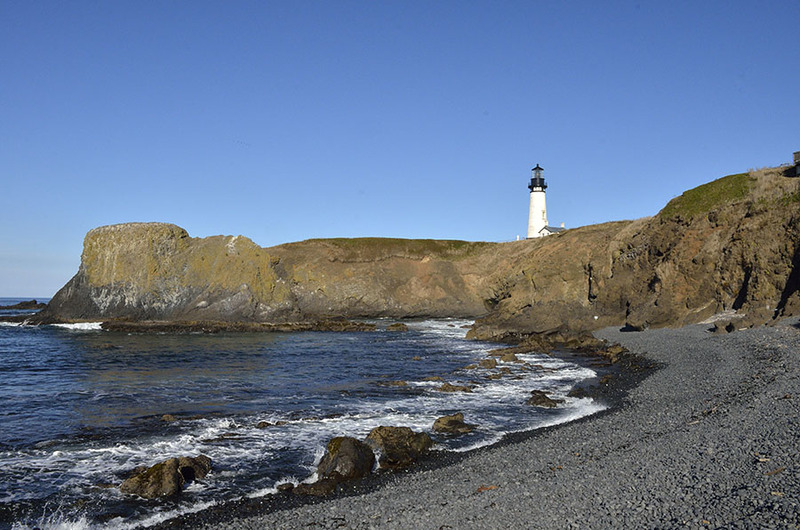 Not to be confused with Yaquina Head, there is a small lighthouse to mark Yaquina Bay in the town of Newport. The tower just to the right of the lighthouse is a Coast Guard observation tower, actively manned, looking out towards the rock jetties protecting Newport’s harbor entrance. Like many of the other jetties that have been built at harbor entrances, this jetty helps to keep sand moved by ocean currents from building up and shoaling the inlet. 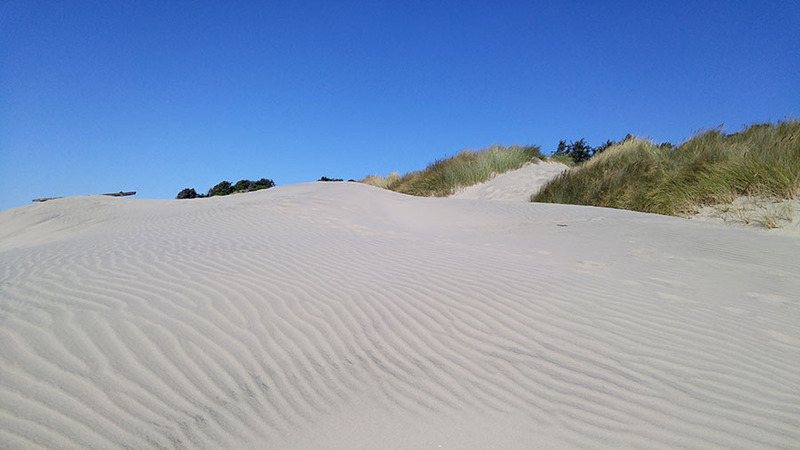 Wind sculpts the sand, making wave-like patterns in the beach dunes. We strolled the beach until the angled light nudged us towards the shops and restaurants on the working waterfront for some dinner. 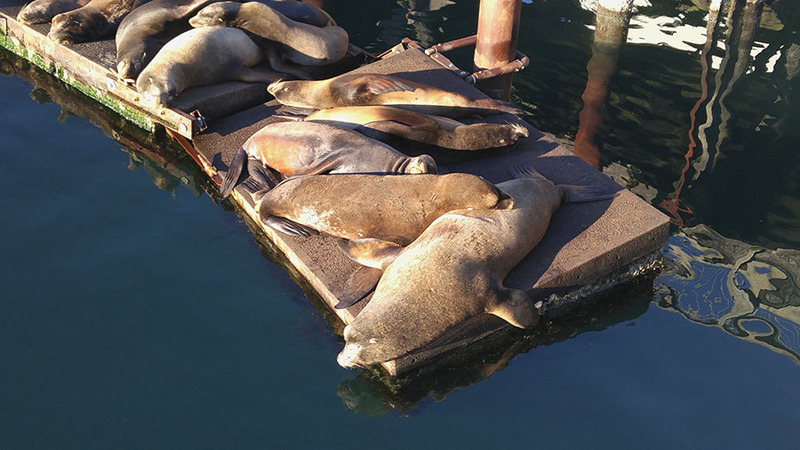 We were drawn to the barking of sea lions, harbor residents perpetually napping or arguing about someone disturbing their nap. These are California sea lions, smaller than the beefy Steller sea lions we see at home in Petersburg. 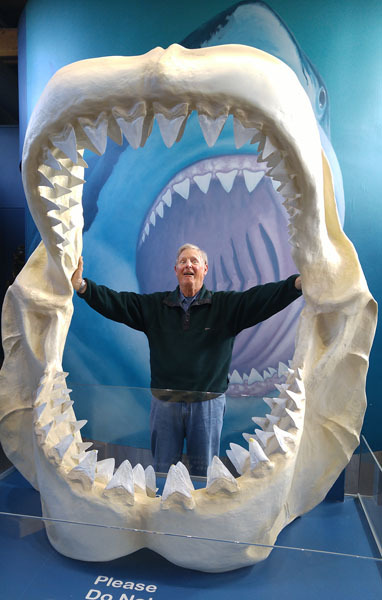 But they behave much the same way – real characters! 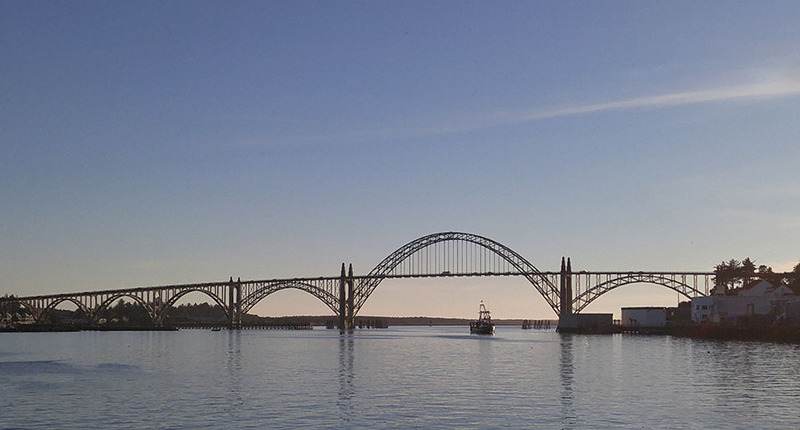 Newport is a pretty town with plenty of working boats to look at, a great aquarium, and a marine science center to explore. 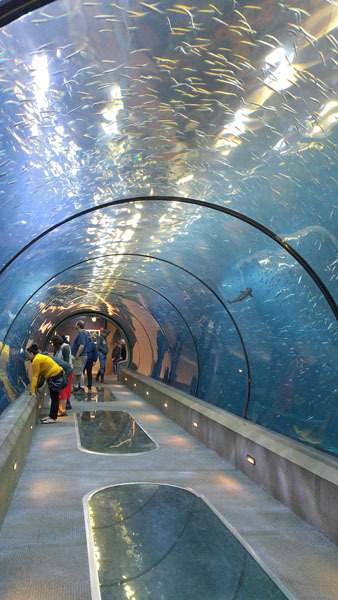 With our background in diving and love of sea life, both spots were a favorite. You’re never to old to have a happy childhood! This entry was posted in 2018, RV by Robin. Bookmark the permalink.